Mansfield Heights homes were mostly built during the 1970's and 80's. Many have undergone renovations and now have updated features. These homes sit on large lots with mature trees. Mansfield is a neighborhood located in the mid-eastern part of Cherry Hills Village and is at the fringes, in a positive way, of the "busier" urban developments in the far east of this exclusive sub-division. It's worth mentioning that owning a property anywhere in Cherry Hills is a bonus for you because you'll be living or investing in some of the most affordable, desirable and spacious homes in the United States. Denver can still offer property owners a luxury home located on anything up to several acres of land; a rarity in most states of the union. 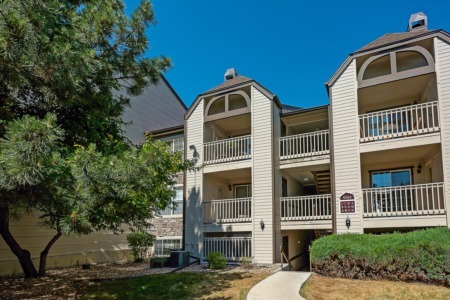 Colorado is all about offering people the convenience of "country" living while still being close enough to the modern amenities which modern life demands. In Mansfield this is very well demonstrated by the fact that there are three parks in the area - Three Pond Park, Dahlia Hollow Park and Jefferson Square Park - but in the same breath all the shopping and dining you could ever want or need is just a short drive to the east in the Denver Tech Center, Cherry Creek Shopping Center or in and around Tamarac Square. If you find these lacking you can hop onto the I-25, drive for 10 minutes, and find yourself in downtown Denver - where you will mostly definitely be able to find what you're looking for. Mansfield offers well appointed homes in a small community with plenty of parks, walking trails and shopping nearby - it sounds perfect right?